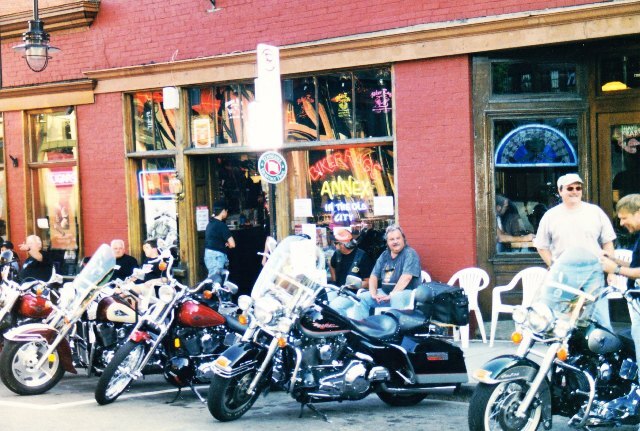 Biker Rags in Knoxville, TN was created by us, Jeff and Pam Huggins. 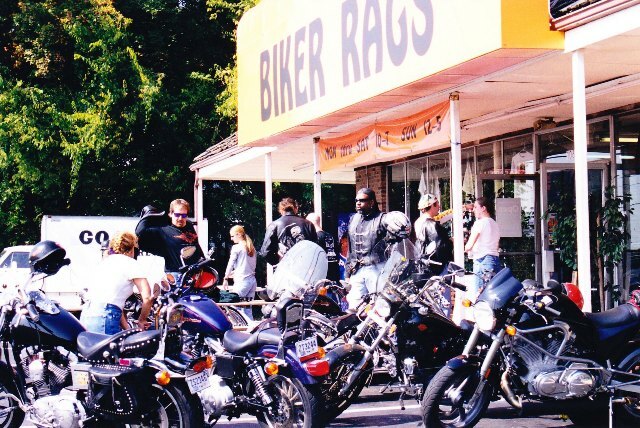 We have been the owners and operators of Biker Rags from day one. 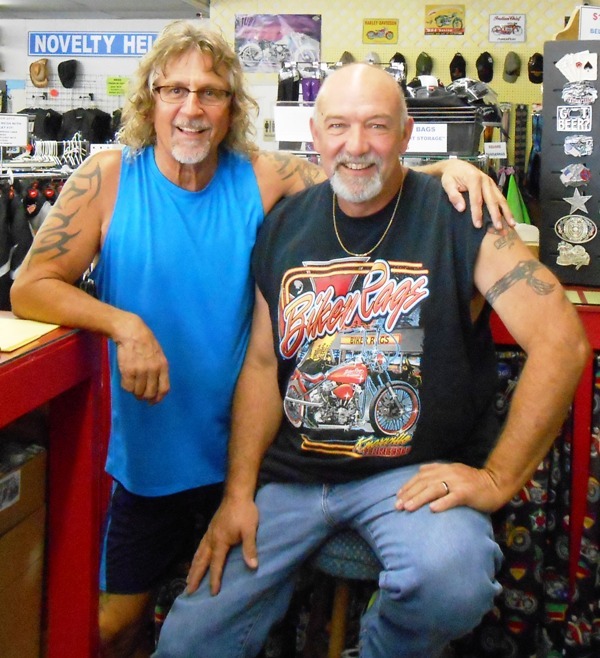 We opened our doors in November of 1994 in a small store front on Chapman Highway. Our first store on Chapman Highway. Jeff and Pam in front of Chapman Highway store. 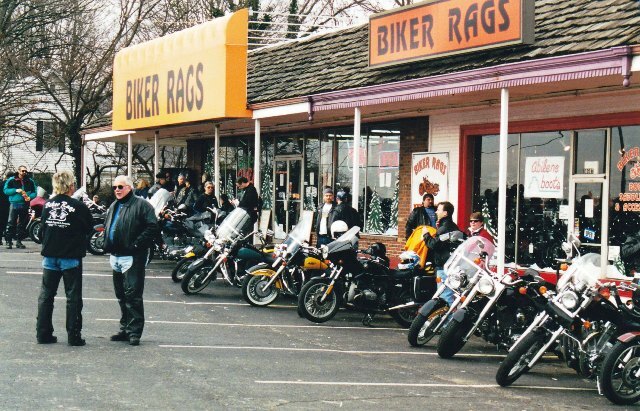 By the fall of 1996, we had outgrown our Chapman Highway store and decided to move west. Our Kingston Pike store opened in the fall of 1996. 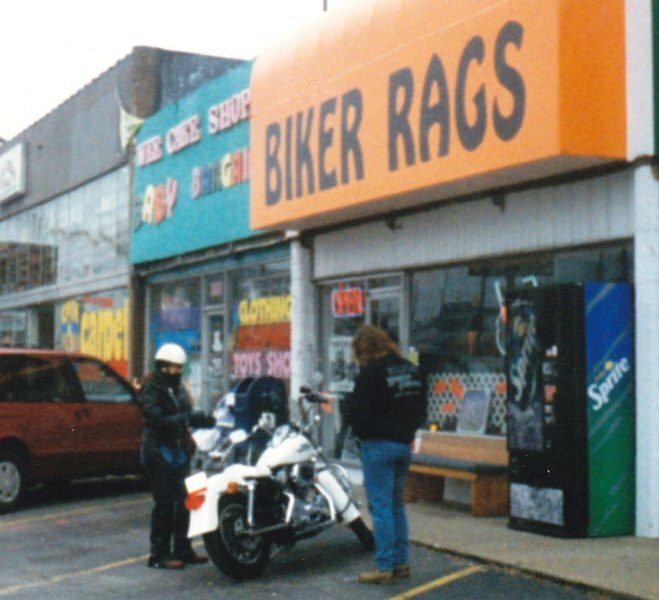 Biker Rags on Kingston Pike in 1996. 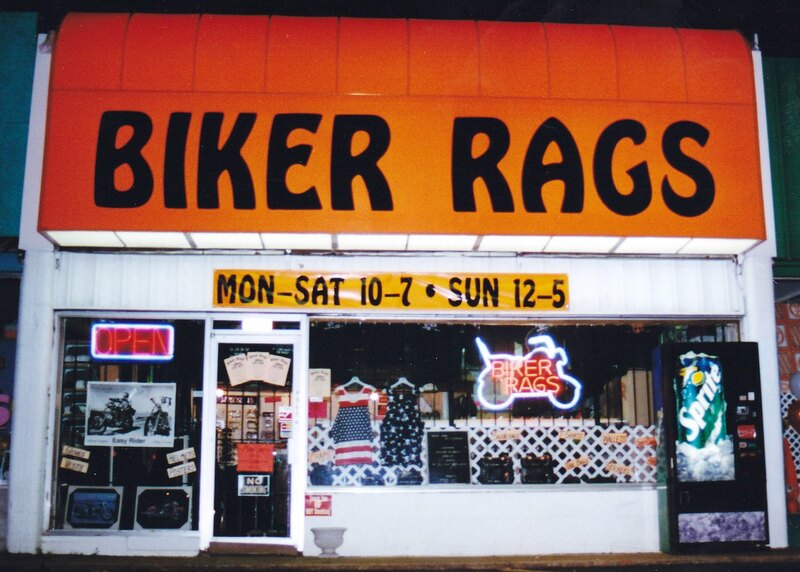 From July 1998 to December 2000, we ran Repeat Rags right next to Biker Rags. 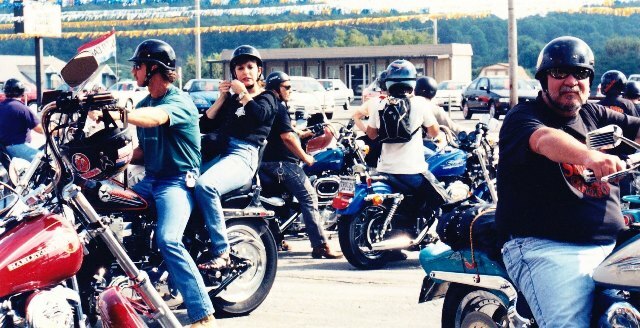 In March of 2001, we connected both sides into one longer Biker Rags. 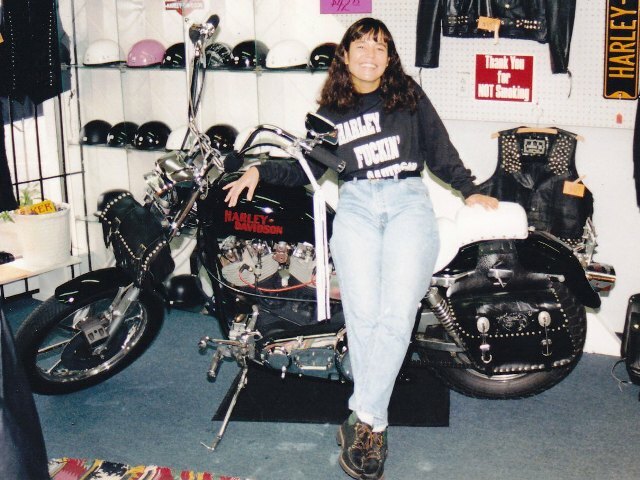 One longer Biker Rags in 2001. 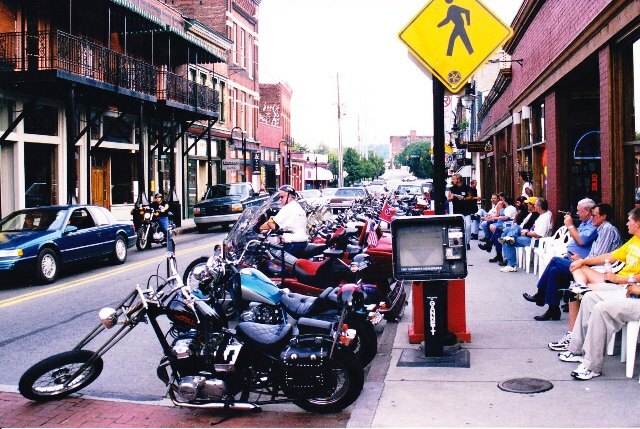 From February 1999 to October 2002, we operated “Biker Rags Annex… in the Old City”. Biker Rags created, promoted and sponsored Old City Bike Nite. Old City Bike Nite created, promoted and sponsored by Biker Rags. 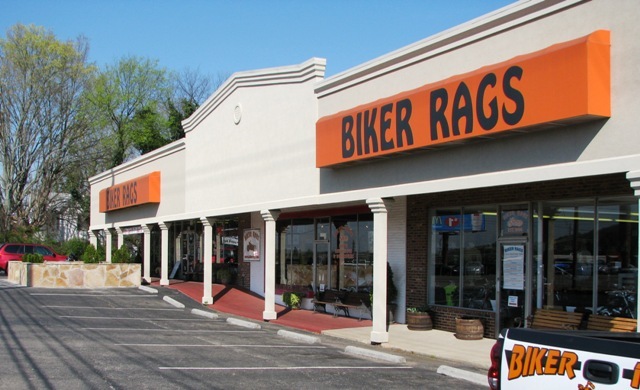 In July of 2004, we expanded Biker Rags on Kingston Pike into the 6500 square foot space you see today. 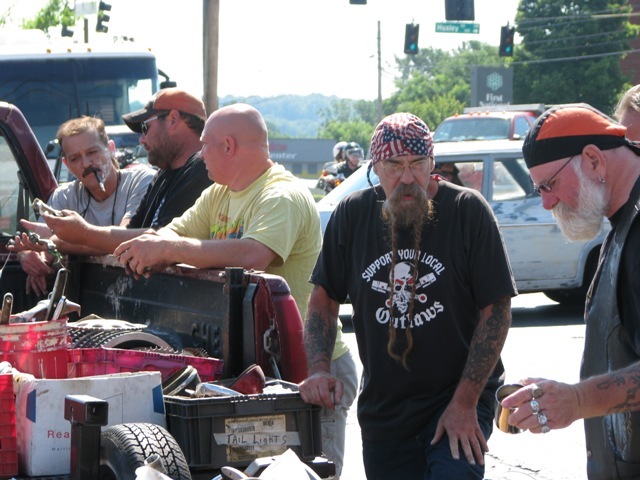 Biker Rags today on Kingston Pike. 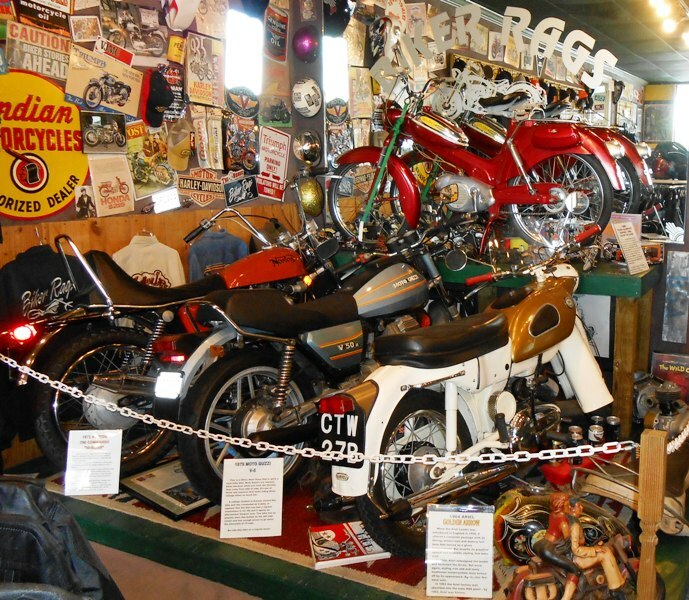 Biker Rags is the place to gather with friends and have swap meets. 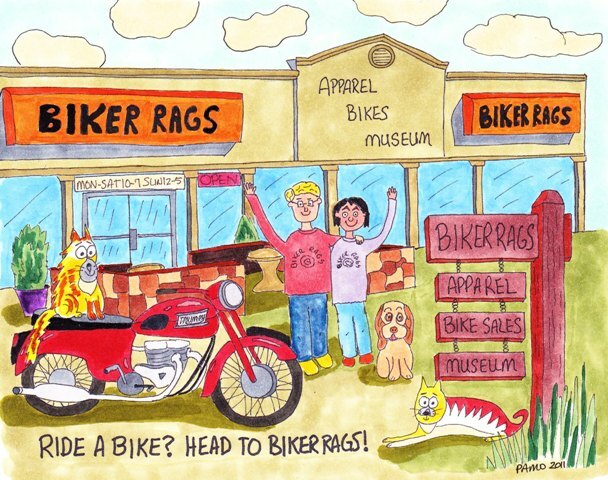 Biker Rags sponsors charity events, bike rides and bike events. 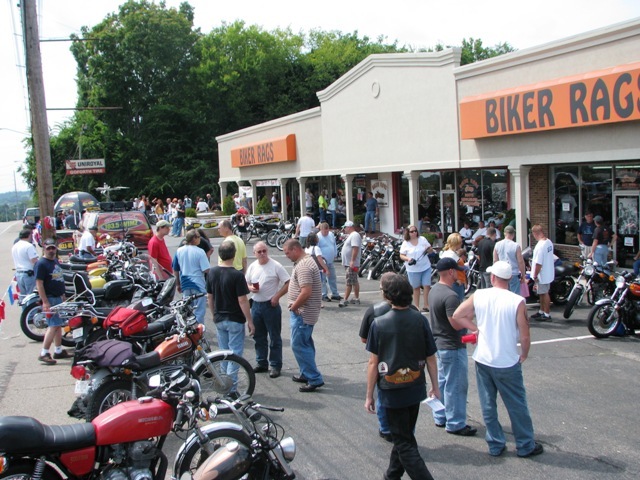 Antique bike show sponsored by Biker Rags. 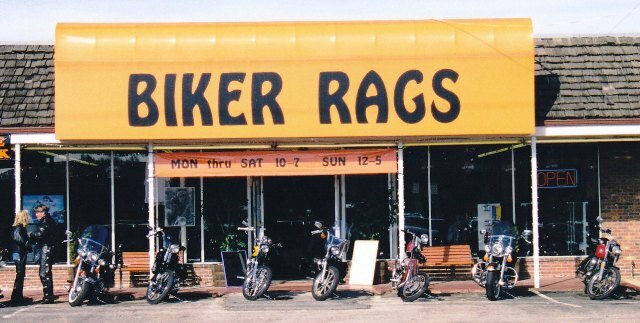 We opened Biker Rags because we love motorcycles. 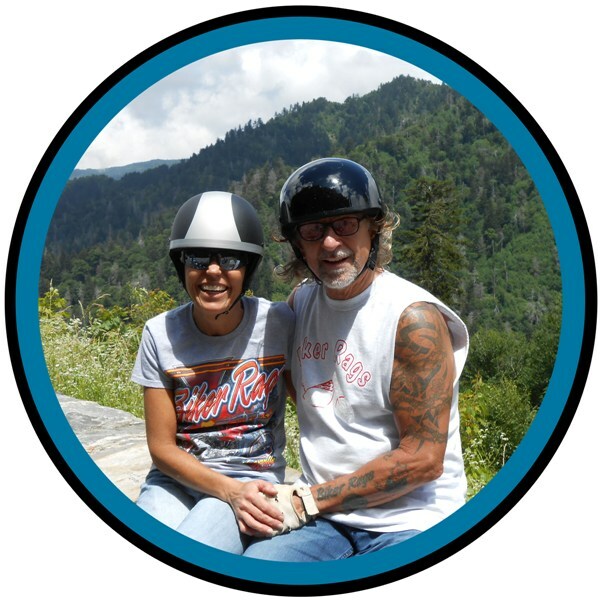 Jeff and Pam Huggins ~ owners and operators of Biker Rags. Since we opened in 1994, we have been blessed to start with an idea and humble beginnings and grow into a 6500 square foot storefront on Kingston Pike. We pride ourselves on being an owner / operated Mom & Pop business. We strive every day to give friendly helpful service to our customers- who make all this possible. 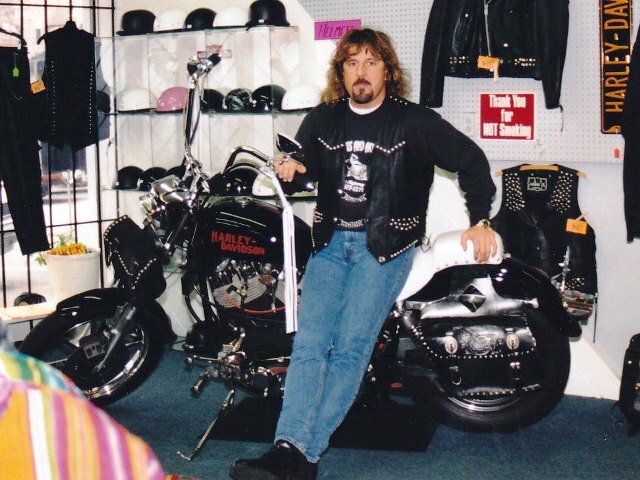 We were fortunate to have Silas Damron join the Biker Rags team in 2004. We love motorcycles! 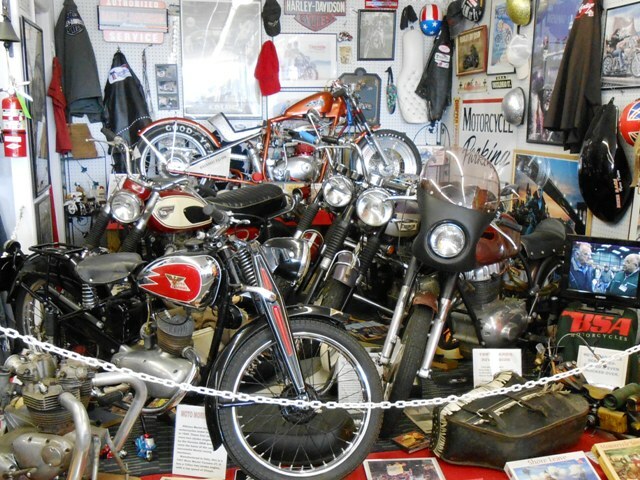 Since before we opened Biker Rags we have been collecting vintage and antique motorcycles. 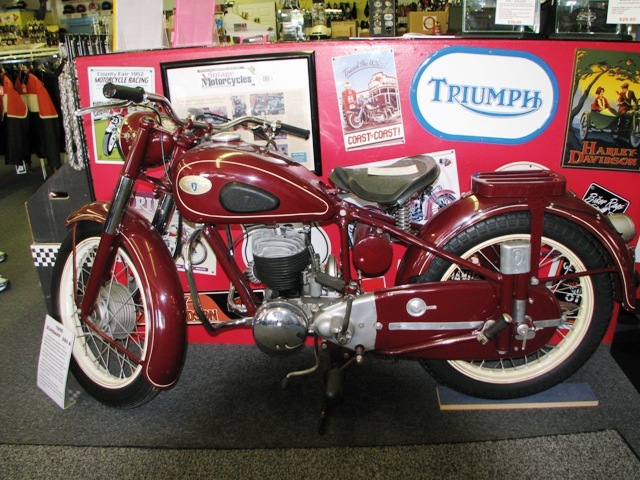 We have over 75 bikes that we rotate and display in the store. 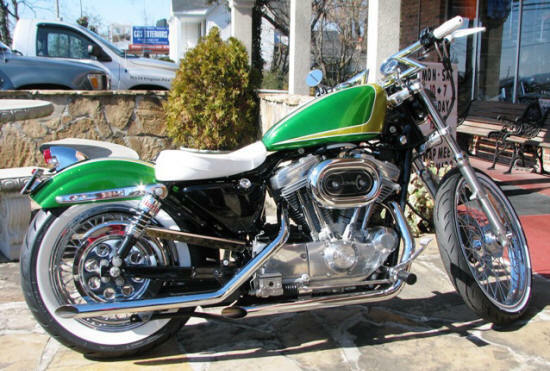 Jeff’s custom Sporty that he named “Eddie”. 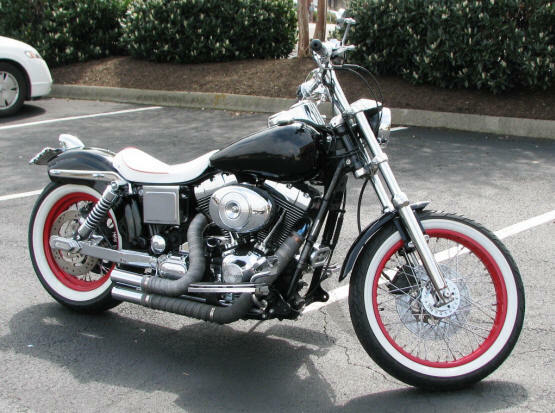 2000 Sportster that Jeff completed in 2013. 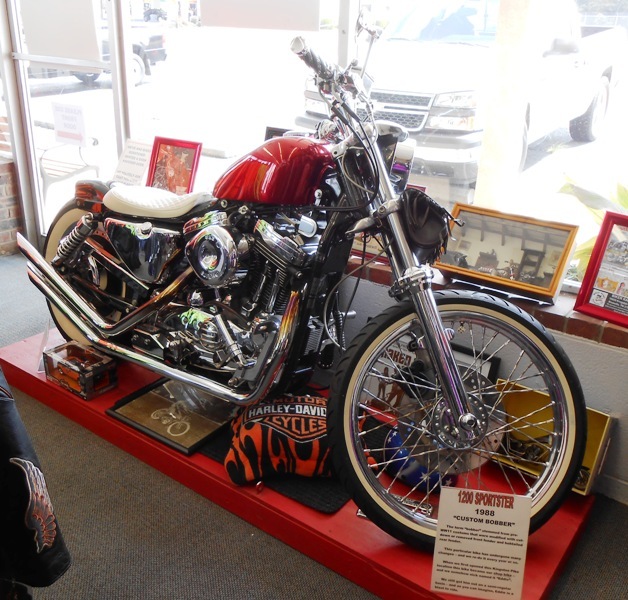 2002 Low Rider that Jeff customized for Pamo. 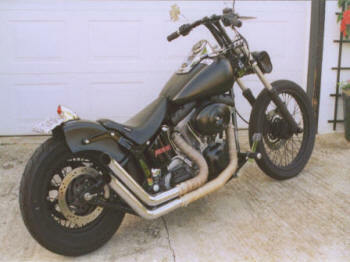 2001 Softail that Jeff customized and named “Beater”. Pamo likes to draw cartoons and display them in the store. Drawn by Pamo January 2013. 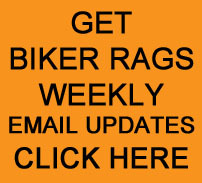 We hope this post has helped you to get a good idea about us and Biker Rags, where we started and where we are today. We hope it inspires you to come by the store and visit! 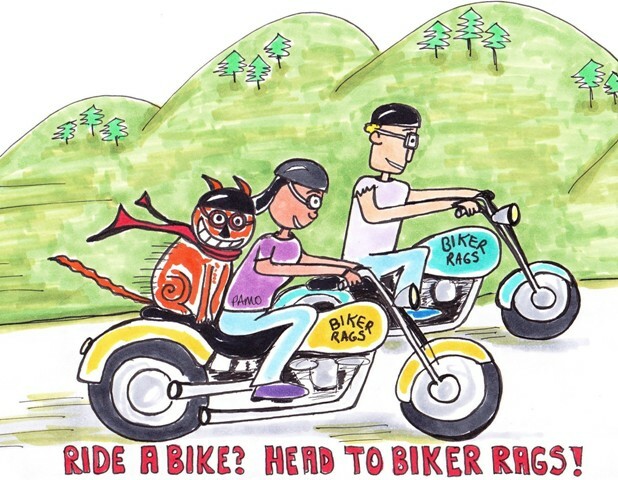 Ask Pamo how to get to Biker Rags! This entry was posted in History of Biker Rags and tagged Biker Rags Annex in the Old City, Biker Rags history, Chapman Highway, Knoxville TN, Old City Bike Nite. Bookmark the permalink. Great story and loved the pics. Pamo, your artwork is awesome and funny. Keep it up, we enjoyed this. Thank you Anne for stopping by. We don’t travel much either- usually just within a 200 mile radius. Isn’t it wonderful that the internet can connect us! From a gas powered golf cart, “Old Blue”, (you’ll have to ask Jeff if he remembers that one), to a screaming 2 wheeled rocket. Congrats on your longevity! We feel very blessed to have been in business so long. Have a great rest of the weekend and thank you for your kind words! What a fantastic story. Pamo, really enjoy your artwork. You two are such a delightful, talented team. Your energy and enjoyment for the Ride and your friends shines thru in all you do. Keep your trip blogs going! 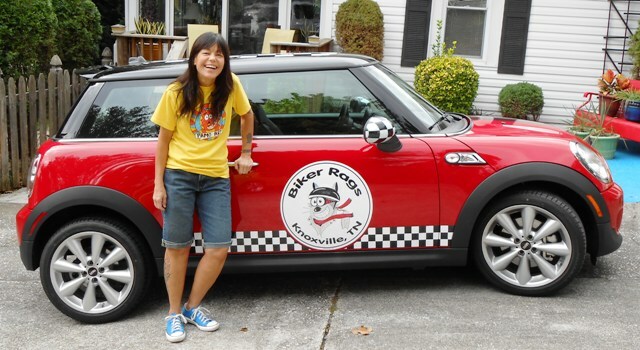 Enjoy reading about your rides and stops along the way. Thanks Deb. I really appreciate your encouragement and comments here and on Facebook. I get so excited to read and view your blogs………Thank you for all you do and keep them coming! Congrats on your exciting and commendable achievement…….may many more come your way! How nice to hear Wendy! I appreciate knowing you like reading our blog. Having readers sure makes it more fun to do. Always nice hearing from you Randy! Hope you can make it to our party too. West Knoxville is lucky to have you!! Brisco Darling said it best, your haircut may say big city style, but your hearts were shaped by a bowl. Always feel at home when we’re there. Thanks for your funny and kind comment Robert! We feel fortunate to be here and to have such great customers and friends. Have a wonderful week.